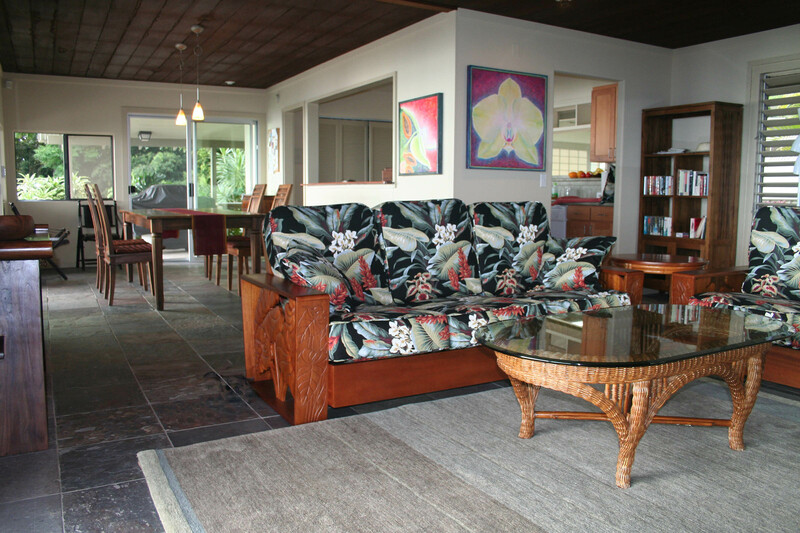 ﻿ Keauhou Hideaway | Hawaii Kona: Hawaii Big Island Vacation Rental Keauhou Hideaway in Kailua-Kona. 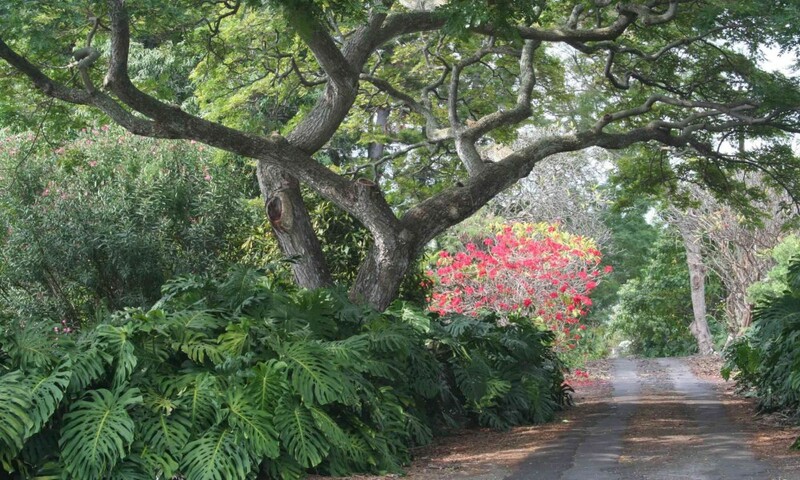 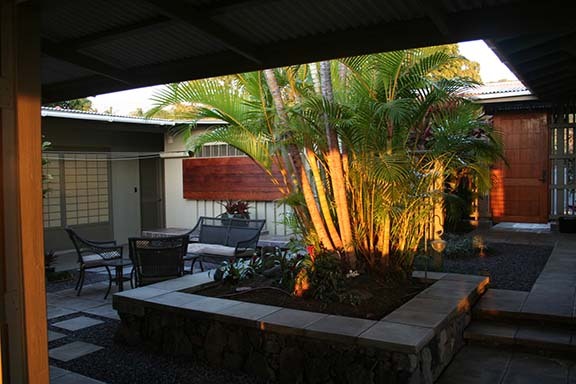 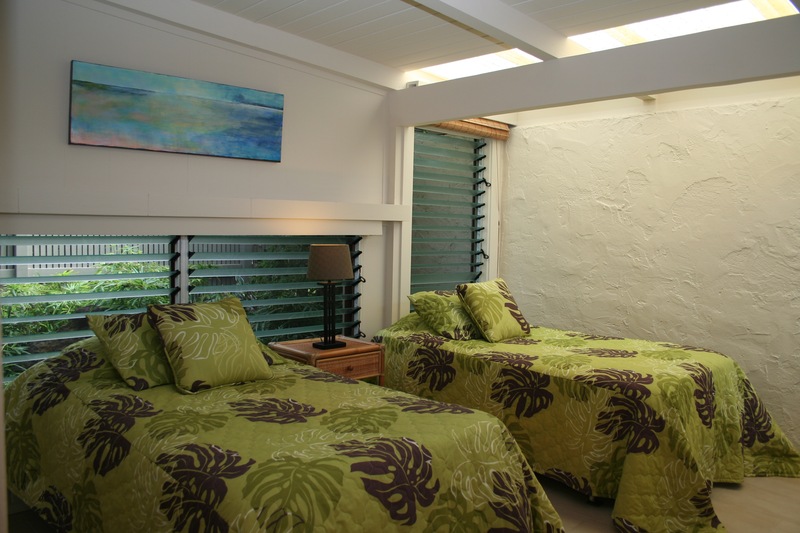 The Keauhou Hideaway is a private retreat on 2.7 acres of lush tropical vegetation. 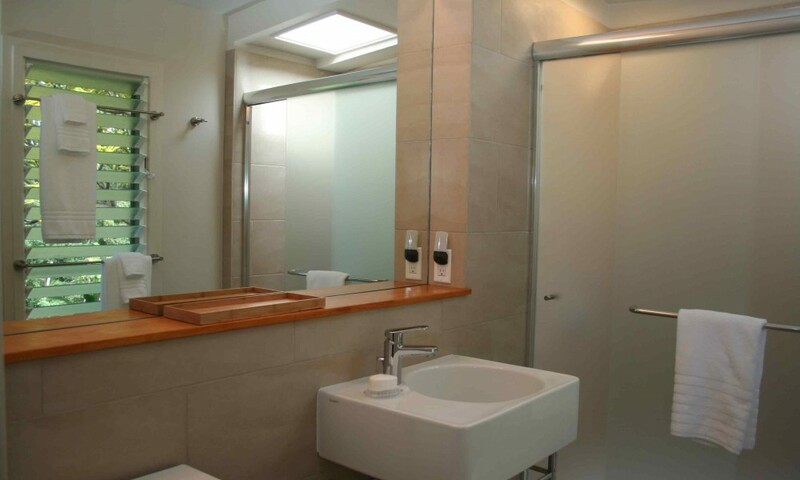 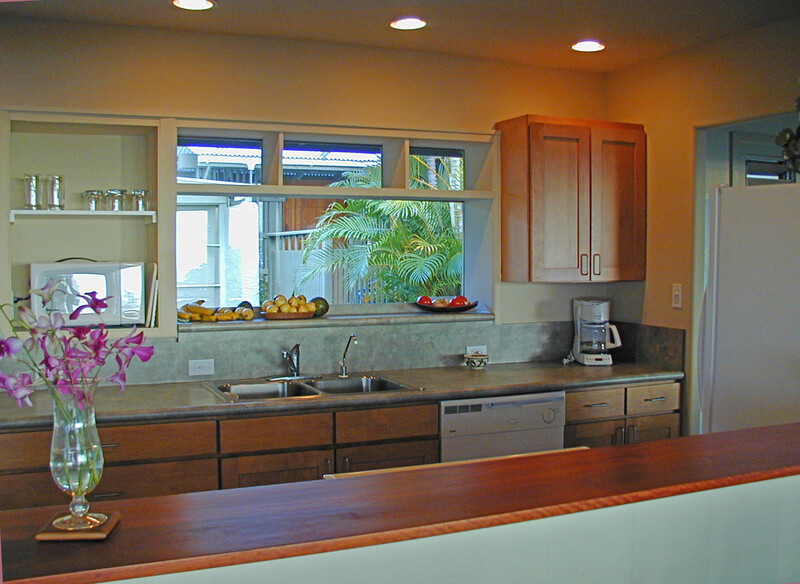 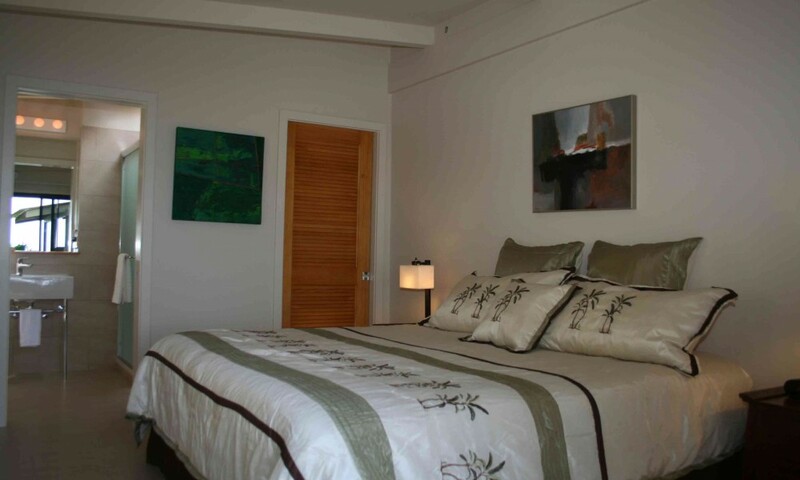 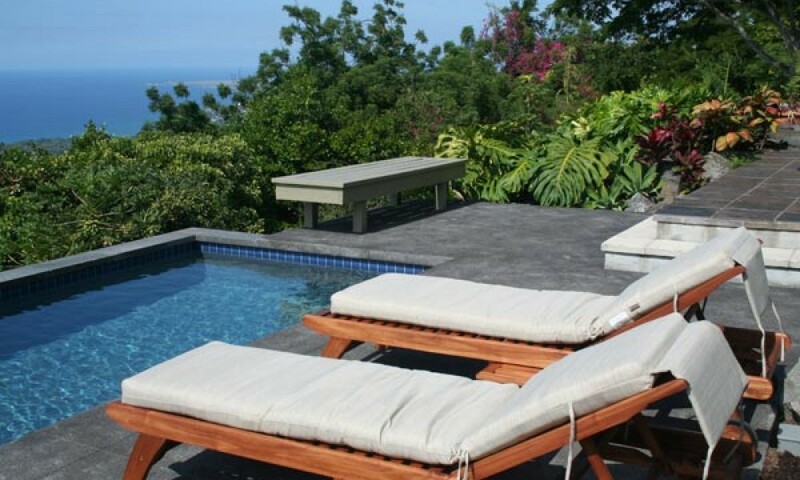 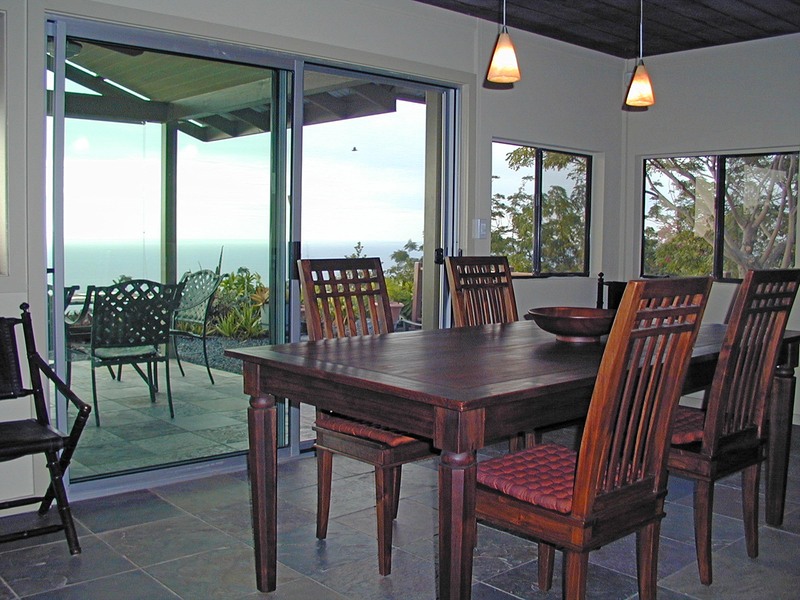 3 Bedroom Home with 2 Master Suites, Solar Heated Pool, Hot Tub… and an Awesome View of the Kona Coastline. 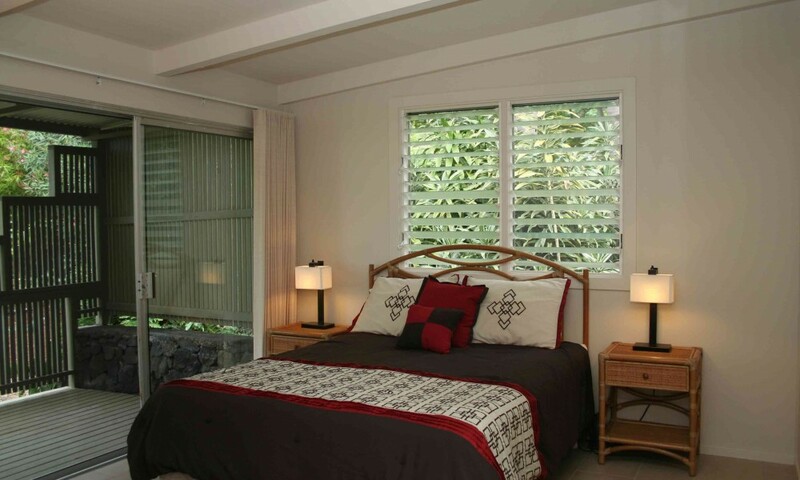 Nestled on the slopes of Hualalai, the Keauhou Hideaway is a private retreat on 2.7 acres of lush tropical vegetation. 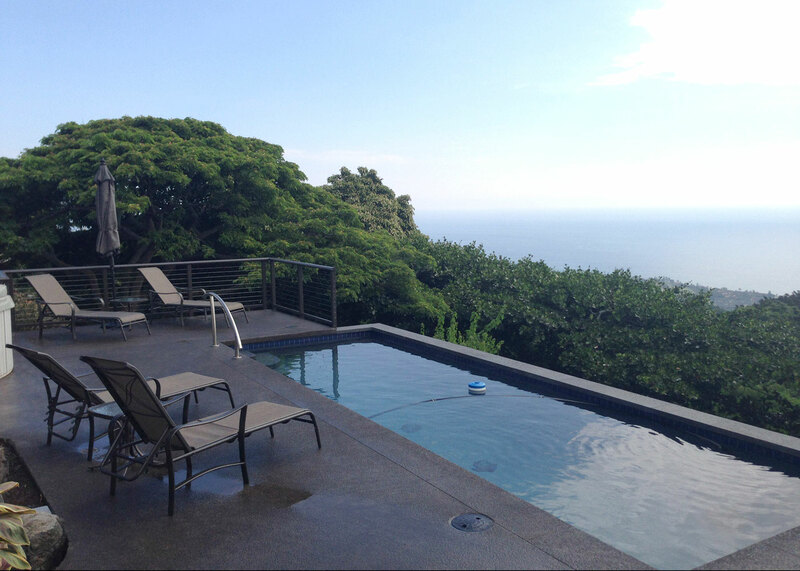 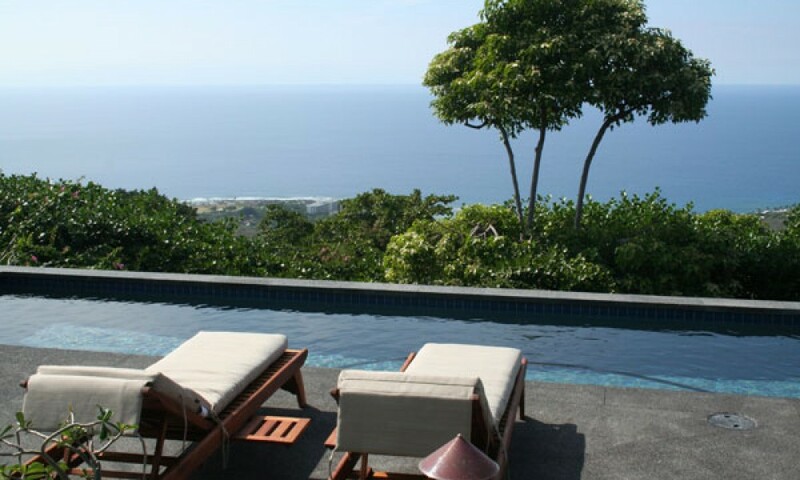 The 800′ elevation affords a spectacular view of the Kona coastline and ensures warm, sunny days and cool nights. 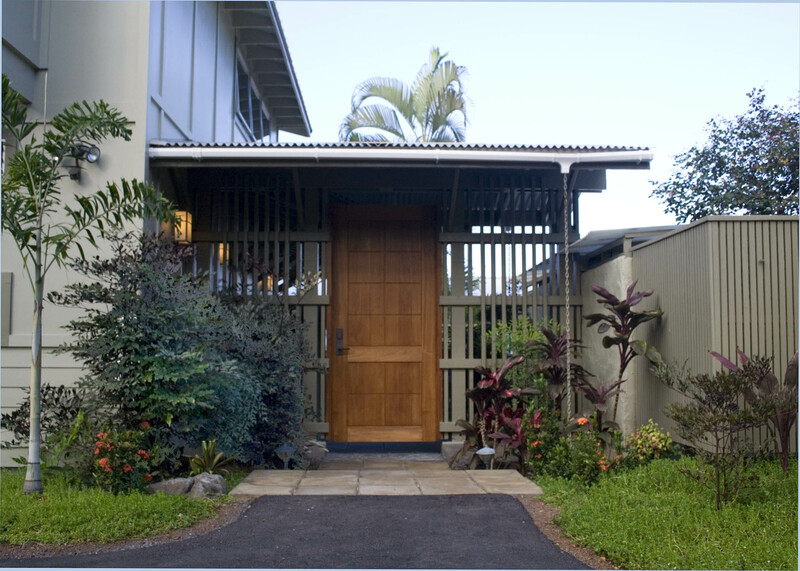 Completely renovated in 2005 and 2012-13, the Hideaway is composed of 4 separate buildings linked to create a delightful courtyard, a perfect place for breakfast smoothies and afternoon tea.